Agency Wien Nord approached us to help them create additional brand recognition for OPEL Austria. 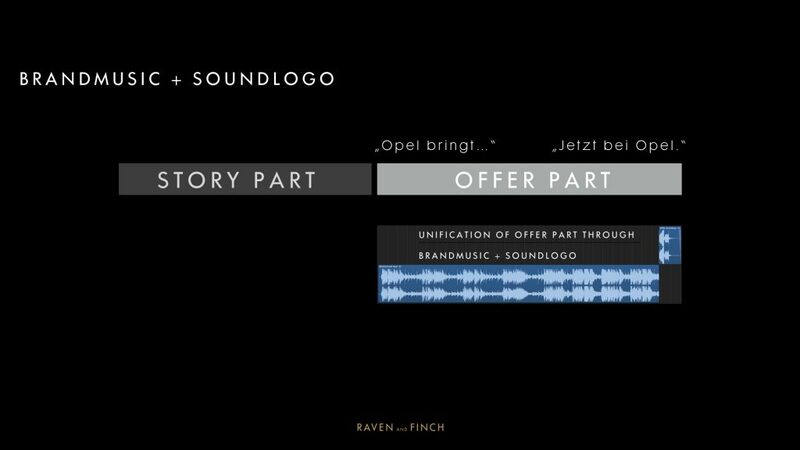 In this collaboration we created the OPEL Soundbranding. With the soundbranding we saw a chance to further communicate OPEL as a brand driving innovations in a highly competitive automotive market. Together with a consistent brand voice and spot format the brand music and the soundlogo unified the radio spots while keeping enough flexibility for a variety of brand messaging in the beginning of the spots.